There are a variety of ways you can capture menu items. This is one solution that will work on Mac or Windows. Go to the application that has the menu you want to capture. 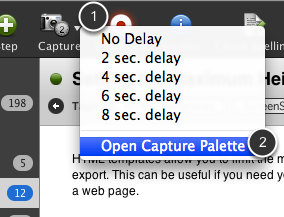 Make sure the capture palette has a delay set (1). 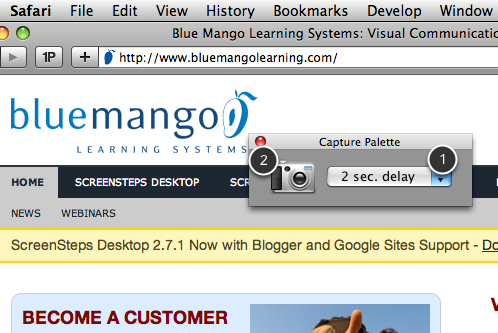 Then click the capture icon (2). The countdown will start. Click on the menu you want to capture. IMPORTANT - Don't click and hold the mouse. Click once to activate the menu and release. Leave the menu open until the countdown expires and then just drag the capture region over the area you want to capture. 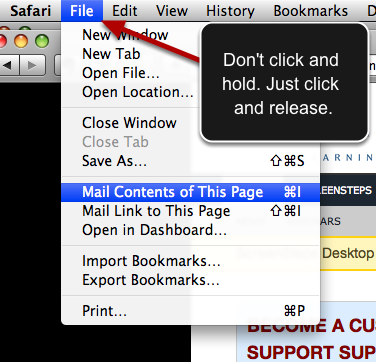 The key is to not hold down the mouse button when you are opening the menu. 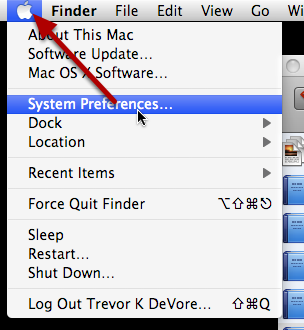 If you want to capture the Apple Menu you will need to switch to another application (e.g. the Finder) after clicking on the Capture Tool. If you don't then the ScreenSteps' countdown timer will pause while the Apple Menu is active and the screen capture cross-hairs will never become active.